Become a PWN member, and you will be eligible to join our highly regarded Mentoring Program. Mentoring is recognised as a cost-effective and impactful way to prepare future business leaders. In the past three years, 60% of people who participated in a PWN Mentoring Program have gone on to achieve their life change goal, including promotions and career changes. So, this could be the start of a new chapter of your life! Motivation: the Mentors guide the Mentees during the program helping them staying on track and focused, as well as provide additional help to overcome obstacles. What is the PWN Vienna Mentoring Program? Mentoring is a cornerstone of PWN's offer to its members and the community at large (yes, it is open to men as well! ), and benefits both mentees and mentors. Mentoring is a voluntary developmental relationship, between an expert who is wiling to share her/his knowledge and experiences (Mentor) with one or more who wants to learn and will profit from such guidance to develop personal or professional skills (the Mentees). Mentors are matched with mentees to reach specific career or business-related goals. The program runs from October to June, with each small mentoring group meeting on a regular basis (either in person or remotely). 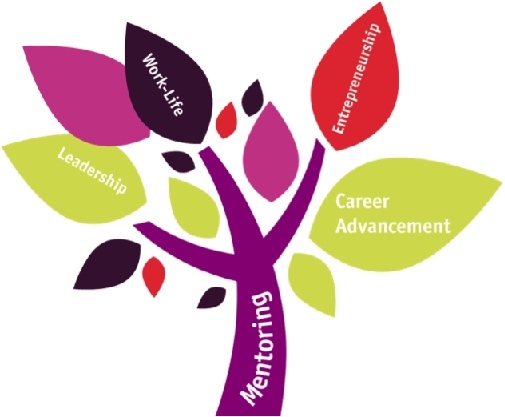 Mentoring topics include leadership, entrepreneurship, career transition, job search, re-integration, self-management, work-life balance, cross-cultural working practice, and others. Mentoring provides undeniable benefits to the Mentees: during the program they have a chance to clarify their career directions, actively analyze their career and/or personal development and growth. They will also be responsible to strive to achieve their goals set at the beginning of the Program. Mentees will receive constant feedback and support from their Mentor, they will gain advice in how to enhance their confidence and how to confrontate challenges. However, the Mentoring Program is also beneficial for the Mentors: they will have the chance to develop their leadership skills, and thanks to the support of the Mentoring Coordination Team, they will experience a program that also challenges them to reflect on their professional career and aspirations, a chance to reflect on their own practices and challenges. Mentors will be the one to encourage action, commitment and motivations, at the same time they will provide and receive continuos feedbacks. The PWN Mentoring Program creates the opportunity to develop personally and to grow diverse skills, it increases the professional networks of participants and it helps developing a strong community. Who is behind the PWN Mentoring Program? PWN relies on the excellent volunteer work of several of its members. Our Mentoring Coordination Team (MCT) is currently working to successfully further develop the Mentoring Program, and to engage as many Mentors and Mentees as possible. You can contact the MCT directly at mentoring.pwnvienna@gmail.com and send them your questions. Karin is an entrepreneur and manager working in the energy sector. She coordinates the PWN Vienna Mentoring Program since 2017. She oversees the execution and development of the whole program. She was a mentee at PWN Amsterdam. Karin is from Austria. Zita works as senior manager with a focus on the European rail freight corridors and sales process of rail infrastructure at a Vienna-based international organization. She was a mentee at PWN Vienna and is eager to support the future mentees. Zita is originally from Hungary. Solweig is a graphic designer. She is an autodidact with a focus on layout setting and design. She creates layout of books and she also designs logos and infographics. She was a mentor in the PWN Vienna Mentoring Program and is in charge of the Mentors' coordination. Solweig was born in France. Shirley is an accredited coach and mentoring supervisor. She supports the wellbeing and ongoing professional development of coaches and mentors. She provided mentoring and supervision to the mentors of the PWN Vienna Mentoring Program. Shirley is from Scotland. Gabriele is a radioecologist and nuclear environmentalist. She was involved as a mentor during her long-term professional career in national research centers and for the International Atomic Energy Agency as a senior manager. She is thrilled to share her knowledge on leadership and career development with future Mentors. Gabriele was born in Germany. Gerlinde is a self-employed marketing expert and consults companies regarding the selling process of their goods and services. She is knowledgable in marketing complex topics, has a broad international expertise and a strong focus on sales. She coordinates events and partnership for the PWN Vienna Mentoring Program. Gerlinde is also Austrian. Application is now open for this year's PWN Vienna Mentoring Program 2018/2019, which goes by the motto "We rise by lifting others". You can either join our team of Mentors and share your experiences, offer guidance to your Mentees, and enhance your leadership skills and business network (You do not have to be a PWN member to become a mentor), or you can be a Mentee and enhance your career and professional life with the help of our Mentors and your fellow Mentees. Mentors and Mentees can apply by filling out our online application form and highlighting their field of expertise/interest. Selected Mentors will receive confirmation by September 22nd, 2018. Selected Mentees will receive confirmation by September 25th, 2018. Before you apply, please make sure you will be available to join the program. We strongly recommend availability for at least one meeting per month, to be able to fully benefit from the program. Engagement and dedication to the program are crucial for a successful mentoring. Please be aware that participation to the Kick-Off Meeting (October 3rd, 2018) is mandatory. We drafted a preliminary Schedule of this year program, it will be updated while the program unfolds. Application deadline for MENTORS and MENTEES is September 18th, 2018. As Mentee of the PWN Vienna Mentoring Program you will be required to be a member of PWN. To participate in the program, simply renew your membership or join now! If you are joining only for the PWN Vienna Mentoring Program, we suggest you wait for confirmation of placement before paying your membership fee. For Mentors the membership is not required. During the program, participants might be requested for voluntary feedback which may be recorded as audio or video material, or to have their photograph taken. This material may be used in the PWN Vienna Connect magazine or online social media platforms. For more details or respective GDPR questions, please contact our Mentoring Coordination Team.